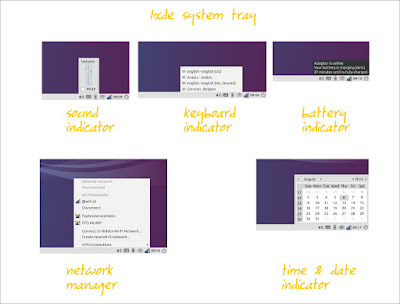 This guide will explain you how to use LXDE desktop for daily usage. After our fifth XFCE guide, now it is our sixth about LXDE. LXDE is a lightweight desktop from the beginning to help us revive old computers. Of course, if you run LXDE on better computers, it will run faster. LXDE gives you pont and click desktop experience. LXDE is famous of being used as default desktop on Lubuntu. This guide will not explain any of LXDE technical or historical side. This article is written for those who never use Linux or LXDE before. I use LXDE on Lubuntu 14.04. 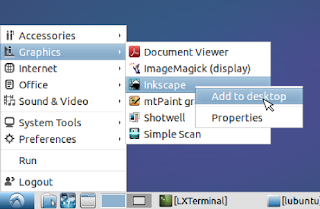 LXDE has traditional desktop layout similar to Windows. LXDE has bottom menu, taskbar, and tray on the taskbar, similar to Windows. LXDE has no animation effect. LXDE has very minimalistic features. To launch an app in LXDE, click on the menu. It is similar with KDE or Windows menu. But no search here. To create a desktop shortcut, find one app in menu > right-click > Add to desktop. Basically, it is same with KDE or Windows. To switch between running apps, use Alt+Tab. LXDE has multiple desktop since the beginning. 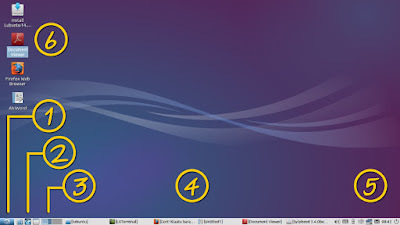 In Lubuntu 14.04, you have two desktop by default. See the rectangles icon on the bottom-left of your screen. Of course, you may add it if you want. You can switch desktop by clicking on it. Like another desktop environments, you can move a window to another workspace (desktop) and switch between workspaces easily to improve your multitasking experience. LXDE shares similar tray with KDE or Windows. 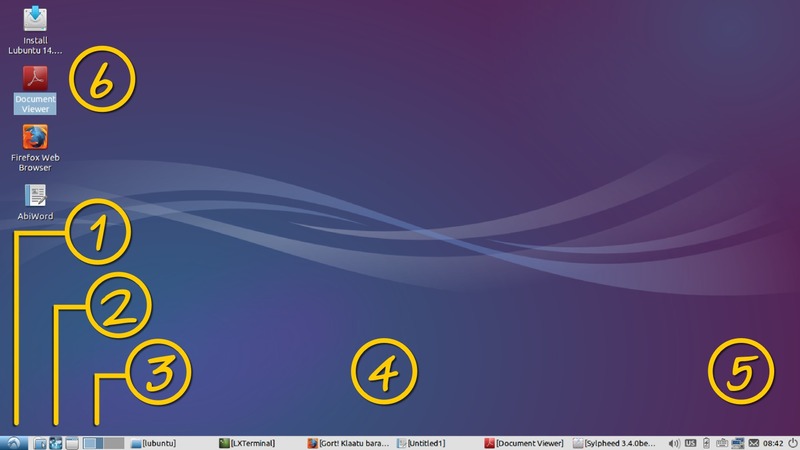 From left to right, LXDE has sound indicator, keyboard indicator (you may change your layout here), battery indicator, network manager, and calendar. 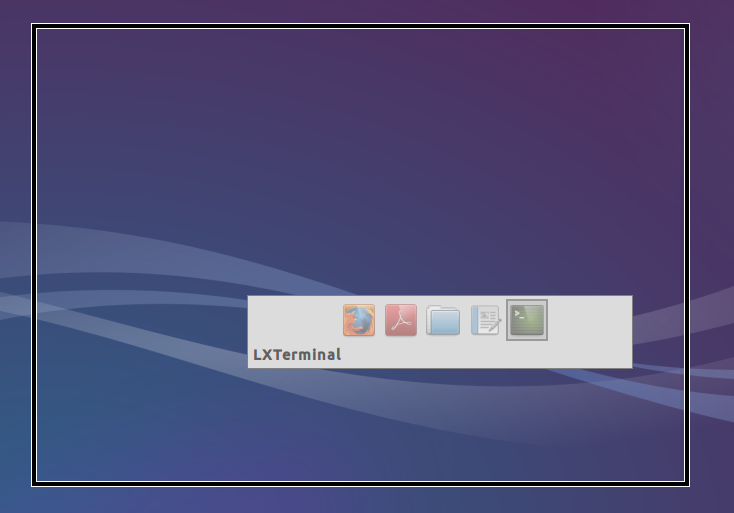 On the most right of panel, LXDE has logout button contains shut down and restart.